Over the Rainbow Fruit Kabobs. Completely coincidentally my daughter’s class was looking for a healthy snack for a PARP (Parents as reading partners) project. 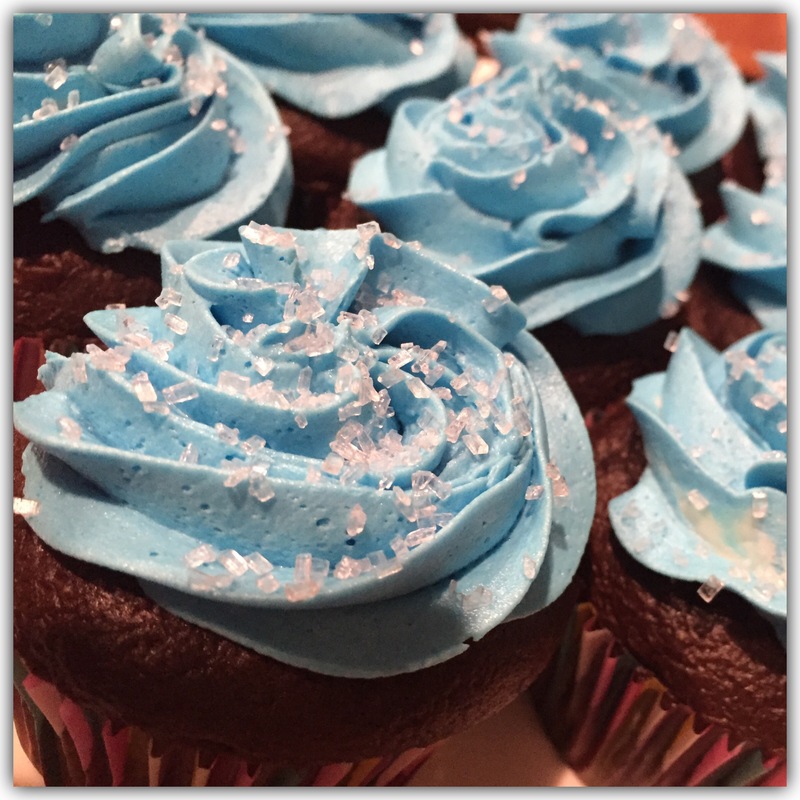 My go to snack is always cupcakes but they they only wanted a healthy snack so I had to step outside my comfort zone. After perusing Pinterest I found these adorable rainbow fruit kabobs and realized they would be great for St. Patrick’s Day as well. So simple to make as long as you know the colors of the rainbow. Luckily when I was little I had the cutest grandfather who taught me ROYGBIV. I will never forget it and rainbows always make me think of him. Based on the season you can use different fruits to fit the color scheme. I used fruits that are always available in the grocery store regardless of the season. Buy the melon and pineapple already sliced it saves a lot of time. 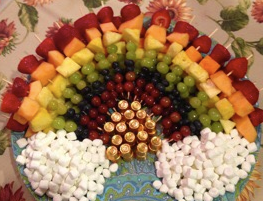 Start from the bottom of the rainbow with the red grapes and place each piece of fruit on the skewer. 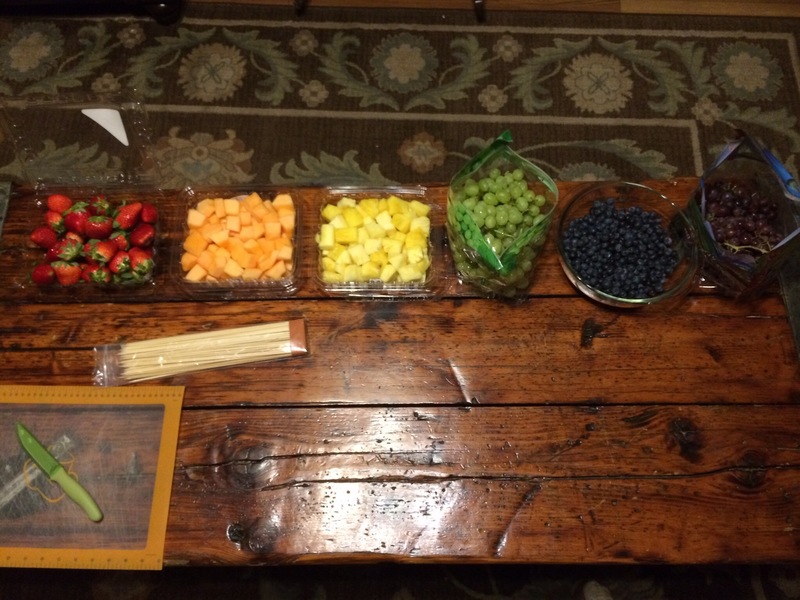 To balance out the colors use three of four grapes and blueberries and one piece each of the strawberries and melons. Cut the stem of the strawberry off and put it on last with the bottom up. Be careful of the pointy skewers – they are really sharp. I even cut off the tips when I was done. I had visions of all the second graders pricking their fingers on them. I little ridiculous I know but didn’t want a call at work telling me they were hurting themselves on my healthy snack. Couldn’t help but include a little sweet treat so added marshmallow clouds and Rolos for the gold at the end of the rainbow. This entry was posted in Food & Snacks, Holidays, Life, Motherhood, Recipes and tagged Do it yourself, fruit kabob, Healthy Snack, Marshamallows, PARP, Pinterest, Rolos, Saint Patrick's Day. Bookmark the permalink.